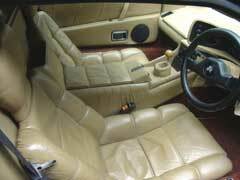 A 1980 white/copper Lotus Esprit Turbo used by Roger Moore during his portrayal as James Bond in "For Your Eyes Only" (United Artists, 1981), chassis number SCCFC20A8AMD 10858, engine number CC912 8011 18912, having double pinstripes, alloy wheels, and self-destruct system; consisting of four C4 explosive packs (strategically hidden in both sides of the car, front and back), magnetic seals on all doors and boot, and vibration sensors. 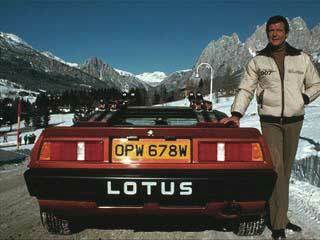 Following the success of Bond's (Roger Moore) Lotus used on-screen in "The Spy Who Loved Me" (United Artists, 1977), the film's producers agreed to re-employ the use of the ultra-sleek automobile in "For Your Eyes Only." 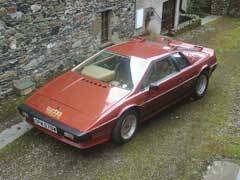 This Lotus Espirt (being one of two used in the film) was driven by Bond throughout the film and can be seen prominently during an expedition to spy on Hector Gonzales' (Stefan Kalipha) subversive activity in a covert estate in Madrid, Spain. 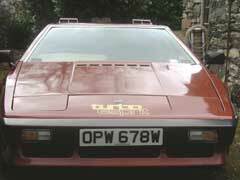 Later in the film, the car is seen again (now copper), as Bond sped through the Italian snowy ski resort of Cortina. Interestingly, because of its original white color, the car would not translate well on film against the snowy background. 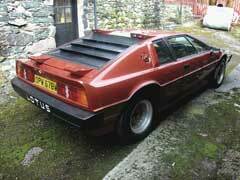 It was immediately sent back to the factory and painted copper, and had customized ski-racks fitted on its roof. 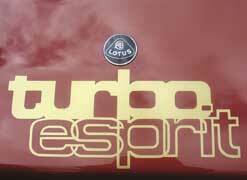 The most important production car Lotus produced is the chassis number one. 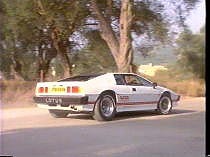 Two white cars were provided for the film - the main car being Lotus chairman Colin Chapman's own prototype and development car, (chassis number one). 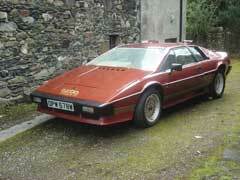 Additionally, this remarkable automobile is also known as the original Essex car - the prototype for the Lotus "Esprit" series. 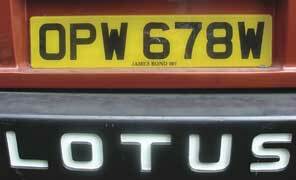 Together with brass plaque with inscribed signature by Colin Chapman, the chairman of the Louts car company. This lot will be on display at Planet Hollywood London until July 31st, 2006. 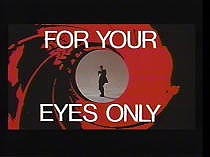 There are additional James Bond lots in the June Sale that are not allowed to be posted on Ebay due to their rules and regulations. These additional lots can be viewed by visiting www.juliensauctions.com and clicking on the "Additional James Bond Lots" tab on the homepage. You may bid on these lots by registering to bid by phone, bid by proxy and/or bid live by attending the live auction at Planet Hollywood New York or London.